If you are a current Veracode customer, we're delighted to announce that we can help you rapidly address the Heartbleed bug. We are offering our comprehensive capabilities for application vulnerability detection to all our customers, at no-charge, to help you respond to this threat. What is Veracode doing to help our customers? 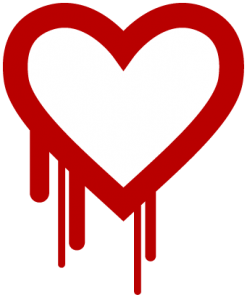 We have two capabilities in particular to help you determine your risks from Heartbleed. These services will identify potentially vulnerable components in both your application code and public facing websites. Heartbleed Component Analysis: Our software composition analysis engine looks for evidence of use of OpenSSL in your code (static analysis) and produces a report detailing at risk applications. Heartbleed Web Perimeter Analysis: Our massively parallel dynamic analysis Discovery technology detects the use of OpenSSL and produces a report of vulnerable websites. Learn more about what we're doing to help our customers here. Or reach out to us directly to get started with securing your application infrastructure. Current Veracode customers should contact [email protected]. Potential customers should contact [email protected].